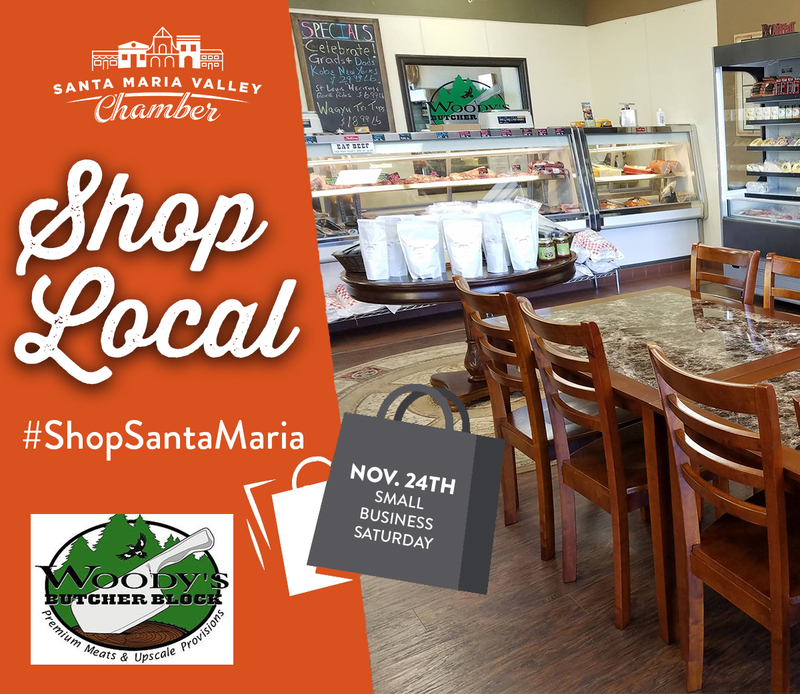 This holiday season, join us in supporting local business by choosing ot #ShopSantaMaria! Woody's Butcher Block stocks super premium products including premium meats and upscale provisions. They are located at 700 E. Main Street, Suite 104 in Santa Maria. Woody's is the perfect choice for making a memorable holiday meal, or their gift cards make the perfect present for the chef in your family! Woody's says shopping local "means that you are helping to support things like kids braces, sports camps and things that support family values." Help us keep our money in the community by choosing to #shoplocal and #ShopSantaMaria! And be sure to celebrate Small Business Saturday with us November 24th!